Covering healthy food pyramid diagram, Australia and for kids. The food pyramid is one of the most simple yet important diagrams to understand. It is a nutritional guideline which first published by a Danish organization, FDB, in 1978 and was later then adopted by the United States Department of Agriculture in 1992. It's crucial that we make healthy choices of food. We need to eat from each food group accordingly, eating a variety of nutrient-packed foods everyday in order to give our bodies the balanced nutrition that it needs. Be low in trans fats, cholesterol, added sugars, saturated fats and sodium (salt). We will now discuss it starting from the bottom going up. Starches give your body energy, vitamins, fiber and minerals. They however, must be eaten in the right amounts as a diet that is too high in carbohydrates can cause the delicate balance of the body's blood sugar level to be upset. The results of this will be fluctuations in mood-you'll be feeling tired and irritable and your energy levels will also be affected. On the other hand, a diet that is too low in carbohydrates seriously decreases the healthy glycogen stores in the liver and muscles. Examples of starches include whole grains such as whole wheat, barley, buckwheat (technically a fruit), corn, millet, oats, milo, amaranth (technically a seed), rice quinoa, rye and teff (the tiniest grain in the world). Cereals are also an example of starches and we know that these come from whole grains. It is recommended that we have at least six to eleven servings per day from this food group. It's important for our bodies that we eat raw and cooked vegetables every day. Vegetables provide important vitamins and minerals such as Vitamin A and C, iron and folic acid amongst many others. Most vegetables are also a good source of fiber. They are naturally low in fat and cholesterol-free which means they give you all you this nutrition with very few calories. But the way you cook them may add fats and calories. You can have vegetables juiced, fresh, frozen, cooked or canned, however, have as little of the canned vegetables as possible as they would have been processed and lost most of their vital nutrients. You can learn more about vegetables in the article vegetable nutrition facts. According to the food pyramid diagram, it is recommended that you have two to three servings of vegetables a day. Fruits, like vegetables are low in calories and fats and are a great source of vitamins, fiber and natural sugars. They can be consumed either raw, dried, juiced, pureed, frozen or canned, and just like vegetables, canned fruits unfortunately have some nutrients removed and added sugar which is not so healthy. These should be avoided or eaten in moderation. Or if they are canned, they should be canned in their own juice if possible. Fruits and vegetables are sometimes combined and put in the same food group. 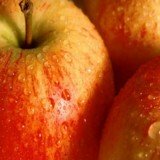 You can learn more about fruits in the article fruit nutrition. It is recommended in the food pyramid diagram that we have two to four servings of fruit a day. Proteins help your body build tissue and muscle, as well give our bodies vitamins and minerals. Meat is the major source of protein, as well as vitamins B12, iron and zinc. Although it provides our bodies with essential nutrients, meat is often high in cholesterol and fat. So before you prepare you it, where you can, trim off the extraneous fat which is not good for us. Meats, poultry and fish which include beef, pork, salmon, chicken, shrimp, tuna are in this group. Eggs, spices and herbs are also included in this food group. The same nutrients which are found in meat can also be found in foods like eggs, nuts and dry beans, these are known as meat alternatives which will be great for those who don't eat meat, for instance, vegetarians. Other high-protein foods that vegans can include in their diet include lentils, tofu and chick peas just to name a few. According to the food pyramid diagram, it is recommended that we have two to three servings of meat in a day. Dairy products include milk, cheese and yogurt. They are a rich source of calcium, and also provide other minerals and nutrients such as vitamins D and A, protein and phosphorus. Having said this, the downside is that many dairy products are high in cholesterol and saturated fat as compared to whole grains, fruits and vegetables. This is why low-fat or skimmed products are better alternatives if you want to eat healthy. 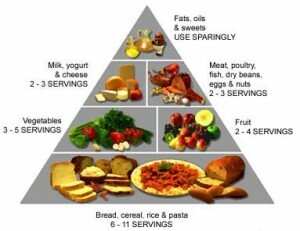 Looking at the food pyramid diagram, it is recommended that we have two to three servings of dairy products per day. This is the food group that is at the peak of the food pyramid diagram. It is also the smallest because we are not to consume too much of these foods.There are different kinds of fats, which can be classified into two groups- the good fats and the bad fats. 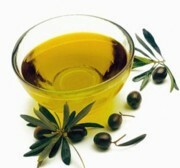 Some oils are refined and the more refined an oil is, the less healthy it is. The good fats include monounsaturated fats and polyunsaturated fats, which are found mainly in vegetable oils such as canola, olive and peanut oils. Other sources of unsaturated fat include nuts, pesto, avocados and seafood (such as shrimp, fish and many others) Essential fatty acids are also essential for us, as in the name! All these lower blood cholesterol levels (LDL), may aid in weight loss, reduce the risk of heart disease, help brain function and lower blood sugar levels, that's why they are termed the "good fats". The "bad fats", which by now you may have figured, increase LDL (bad) cholesterol and lower HDL (good) cholesterol in the blood. Examples of bad fats include trans fats and saturated fats. Trans fats are found in some processed foods, especially the majority of fast food whilst saturated fats are mainly found in animal sources such as margarine, meat fat and milk fat. Candy, chocolates and all the sweet treats are also in this food group. According to the food pyramid diagram these should be consumed SPARINGLY in a day. Use your own discretion as to what sparingly would be. And hopefully you've got the correct definition of the word sparingly and not your own made up one, just so that you can indulge yourself all day long in sweets and chocs :-)!! bread, cereals, rice, pasta, noodles. Here, it is recommended that a person four years of age going up should have between three and twelve sample serves a day. Examples of a sample serve include half a cup of muesli, 2 slices of bread, 1 cup cooked pasta or rice and 1 medium bread roll. vegetables, legumes. In this group, it is recommended for people who are four years and above to have between 2 and 9 sample serves each day. A sample serve of vegetables include half a cup cooked dried peas, beans or lentils, 1 cup salad or 1 potato. milk, yoghurt, cheese: You are recommended to have between 2 and 5 sample serves each day. Examples include 2 slices of cheese, 1 small carton of yogurt or 1 cup fresh milk. meat, fish, poultry, eggs, nuts, legumes: In this food group, you are recommended to have between half and two sample servings per day. Examples of a sample serve in this group include 2 small eggs, 65-100g cooked meat or 2 slices roast meat. It also has an "extra foods" segment for foods that may be eaten some times or in small amounts. Fats and oils may be included in this food group. The Australian Guide to Healthy Eating also recommends that adults drink 8 glasses of water a day. All fluids, other than alcoholic beverages, contribute to this requirement. 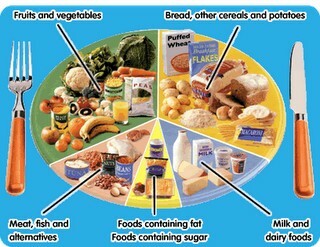 The eat well plate is also closely related to the food pyramid diagram. These are all resources that are out there for you to use so you can have a healthier eating lifestyle. It has all been made easier and brought to each and everyone's level so there really shouldn't be any voice that claims to have not known what to eat and how much of it. All this information is at our disposal so let's use it wisely and reap the benefits thereof... life will be so sweet and serene! Oh Taste and see.... that it is good.